Be familiar with the Questions. Know kinds of information needed. Address the wording style, type, and question sequence. Make the survey interesting and notice the survey length or how long it takes to answer the entire survey. Some additional things to consider about the relevancy and accuracy of survey questions are the ways in which the questions are written and their overall length. 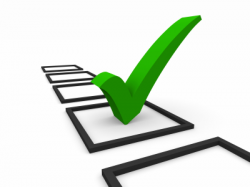 Writing clear, direct, and brief questions will help the survey respondents to know exactly what you are asking. By making sure that the questions asked do not have more than one possible meaning also helps in preventing respondents‟ confusion. Asking sensitive questions in alternate ways may help to alleviate respondents‟ concerns. For example, many people may feel that income, age, lifestyle habits, etc. are personal and may not want to disclose that information. So when collecting a respondent‟s age, a person may be more willing to indicate what year s/he was born rather than to state an actual age. Finally, take into consideration the capability of your survey participants. Some participants may not be able to accurately answer certain questions. If you are surveying employees, perhaps they cannot recall certain details of a project carried out years ago. Or if you are surveying a consumer product, respondents may not remember specific features about it (“Survey Planning”).